Providing you the best range of pump spares for oil field industry with effective & timely delivery. 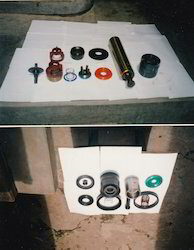 We also offering a wide range of Pump Spares for Petrochemical Industry to our clients. Our products can be easily availed in the market at very reasonable rate. Looking for Pump Spares for Petrochemical Industry ?